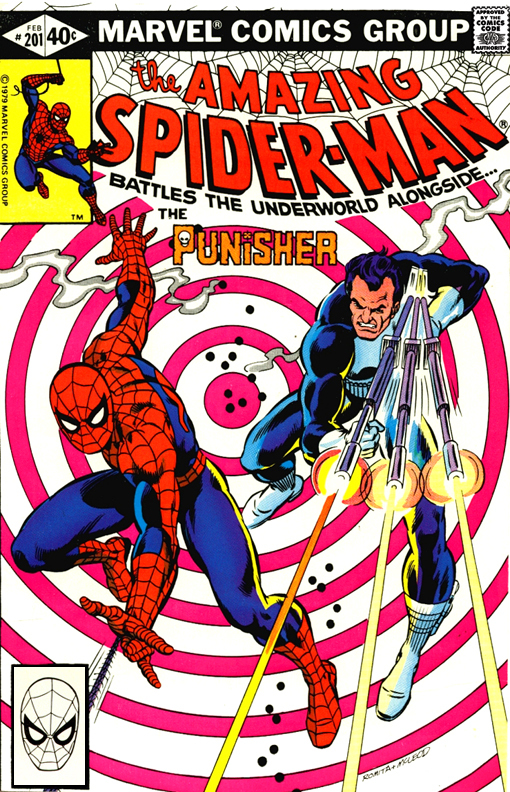 Synopsis: Spider-Man intervenes in a fight between the Punisher and a group of criminals. The Wall Crawler tries to talk some sense into the vicious vigilante after the fight, but the Punisher escapes after shooting him with his mercy bullets, knocking Spider-Man unconscious. Back as his apartment, Peter develops his photos of the fight and then visits Aunt May at the Restwell Nursing Home. While he is with Aunt May, he bumps into Robbie Robertson, who informs him that J. Jonah Jameson has had a nervous breakdown. Spider-Man subsequently confirms this situation when he spies on Jonah through the window at Beltville Hospital. Peter then goes to the Daily Globe to drop off his photos and is sent out on assignment with a female reporter named April Maye to cover the indictment of organized crime figure Lorenzo Jacobi. While on their way to the courthouse, Peter stops to talk with Mary Jane Watson, who he sees walking down the street, and a hilarious argument between April and MJ ensues while Peter sneaks away. At the courthouse, a team of armed thugs arrives and frees the mobster. Peter changes into his Spider-Man costume and pursues them without success. Upon returning home at the end of the day, Peter finds the Punisher waiting in his apartment! "I've learned your secret!! says the killer vigilante in the last panel of the comic. How's that for a cliffhanger?